WATCH - #SempreInterTV - Inter's Eintracht Defeat & Milano Derby Preview: "Is There Any Hope?" 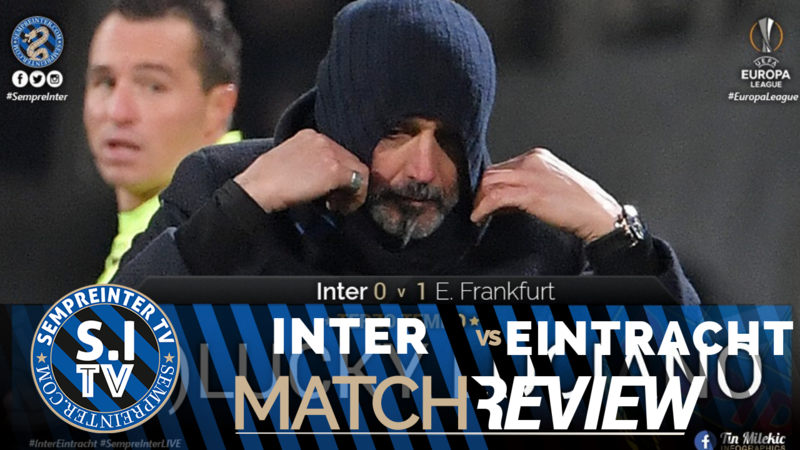 In this episode of #SempreInterTV, Rahul reviews all that went down during Inter’s 0-1 defeat in the Europa League return leg Round of 16 clash against Eintracht Frankfurt, at home at the Stadio Giuseppe Meazza in Milano’s San Siro district. Rahul is joined by SempreInter.com’s resident German football expert Critty Smith who also writes the Inter Legends series. There is plenty of anger and frustration for Inter fans, as the team crashes out of the Europa League without putting up a fight. The boys then preview the Derby della Madonnina tonight at the San Siro.